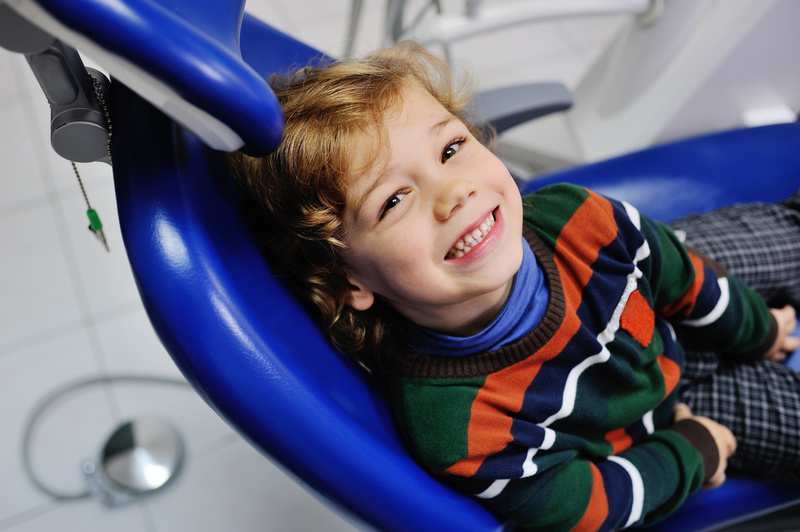 Getting Your Child Excited for Their First Dentist Visit - Gernot H. Winkler, D.D.S. Your child might be a little nervous about going to the dentist, but you can make it fun. Here’s how to get your child excited about their first dentist visit. Going to the dentist can be frightening. The thought of a stranger digging around in your mouth, along with the sucking and drilling noises, can make it seem like a scene from a horror movie. Let’s take a look at three easy things you can do before, during, and after a checkup to ensure your child’s first dentist visit is a positive experience. It’s a bad idea to go into your first dentist visit blindly. Instead, get ready a few days beforehand. For children, preparation means reading stories about what it’s like to go to the dentist. Some examples include The Crocodile and the Dentist by Taro Gomi or Mercer Mayer’s Just Going to The Dentist. For you, it means scouring the Internet to look for the best dentist for your family. Fortunately, we can save you some time. If you’re in the Fallbrook, Bonsall, or Temecula areas, look no further than Dr. Gernot H. Winkler. Whether it is a general cleaning or root canal, Dr. Winkler uses only the latest dental technology to provide excellent care. And with daily specials like free initial exams for new customers and $45 teeth whitenings, Dr. Winkler can help you save money too. Now that you’ve prepared, you’re ready to take your child to the dentist’s office for their first visit. Scheduling an appointment is just as crucial as preparing for one. At Dr. Wilker’s office, we have flexible bookings that fit your busy lifestyle. Plus, we’re kid friendly. Pick a time when your child is the least fussy, such as after work or on the weekend. Once you’re here, our dedicated and talented staff will make everyone’s stay enjoyable. Our staff is here to handle any questions or concerns you might have. When your child gets in the chair, Dr. Winkler works with you to develop a treatment plan suited to your family’s needs. Once your child’s first dentist visit is complete, feel free to reward them. It doesn’t have to be anything fancy or expensive. It can be as simple as a pack of floss or a new toothbrush. They can even chow down on a favorite snack, although you may want to have them avoid something overly sweet. Prizes are a fantastic way to help create a positive association with the dentist’s office. It will surely make the next visit easier and put smiles on both your faces. Most dentists will agree that children should have their first checkup by their first birthday. Cavities can appear as soon as teeth do. However, it’s never too late to start good dental hygiene practices. When you get to the office, Dr. Winkler will go over your medical history. Afterwards, he’ll examine you and suggest a schedule for follow-up visits and home care. Do you have anymore questions about your dentist visit?